For those of you who have lived your entire Christian lives in the contemporary English-speaking Christian world, I’m sure names such as Jesus Culture, Hillsong and Planetshakers are no longer foreign. Walk into any contemporary church service in any part of the English-speaking world, and you’re bound to encounter an entire congregation jumping and dancing to the tune of one of these bands’ songs in praise and adoration for God! Nevertheless, many of you who are accustomed to the English-speaking Christian world would probably never have ventured out into a church service in an entirely different language before. 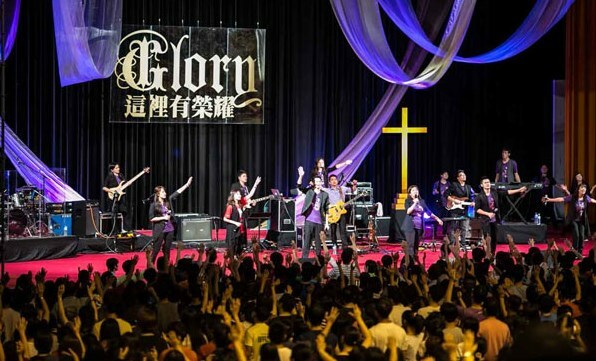 Doubtless to say, if you were to try stepping into a contemporary church service in the Mandarin Chinese language, you would probably not hear Jesus Culture, Hillsong or Planetshakers resonating through the halls of worship, but a comparable equivalent of them that has been making unprecedented waves of spiritual influence over the Chinese-speaking Christian world. Friends, let me introduce to you what is arguably the Jesus Culture, Hillsong or Planetshakers equivalent of the Chinese-speaking Christian world – Stream of Praise (赞美之泉, Zànmĕi zhī Quán). Of course, no article about Stream of Praise is complete without first mentioning the woman of God behind this ministry who was set apart by the calling of the Holy Spirit to start a revival of worship throughout the global Chinese diaspora. She is none other than Pastor Sandy Yu (游智婷, Yóu Zhìtíng), founder and director of Stream of Praise. Pastor Yu, who was born in Taiwan, recalled that during her youth, she was just like any other typical Taiwanese girl: carefree, easygoing and having a penchant for the latest Mandopop songs in the market. But it was when she was 17 years old during a worship service that she heard God’s calling for her life, in which she was “called to serve with her voice.” In 1993, while pursuing her studies in the University of Southern California, she felt touched by God once again during a worship service, and it was then that she realized that there was a severe scarcity of Chinese praise and worship songs at that time. For many, many years, most of the songs sung by Chinese Christians worldwide have been translated from Western hymns. 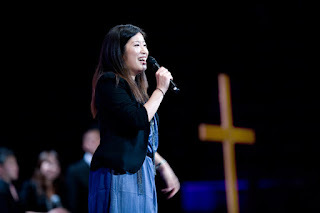 With that in mind, Pastor Yu sought the will and favour of God to lead her in starting a worship band that would be able to write songs in the Chinese language with the Chinese heart in mind. Her heart’s desire was to write praise and worship songs that Chinese-speaking congregations could relate to in their own language and music. God granted her heart’s desire and soon enough, she gathered a few Chinese Christian friends who together started a small Christian band called Stream of Praise in that same year. And as they say, the rest is history. Shortly after starting their band, Pastor Yu and her friends came up with their first ever song, Stream of Praise (赞美之泉, Zànmĕi zhī Quán), which became the flagship of their ministry and simultaneously the name by which it would be known as. In July 1993, Stream of Praise made their debut on the worship stage when they received their first ever invitation to lead worship at an all Evangelical Formosan Church (EFC) Young Adult Gospel Camp in San Diego, California. A few months later, in October 1993, the band held their first ever worship night in the Evangelical Formosan Church Los Angeles (EFCLA) (洛杉矶台福基督教会, Luòshānjī Táifú Jīdū Jiàohuì), which served to propel them into further prominence in the Chinese praise and worship arena. Invitations to lead worship poured in, and Pastor Yu and her friends found themselves actively involved in numerous praise and worship programs in several Chinese churches in California. Two years after its establishment, that is in October 1995, Stream of Praise was officially registered as a non-profit organization, and at the same time the band’s involvement in praise and worship programs multiplied rapidly. They were by then one of the most popular Chinese Christian worship bands in California, with one of their songs, Victorious Life (生命的凯歌, Shēngmìng de Kǎigē), even winning multiple awards in the Southern California Religious Music Competition that same year. The following year, 1996, saw two major milestones that would seal Stream of Praise’s position in the global Chinese Christian community for the decades to come. 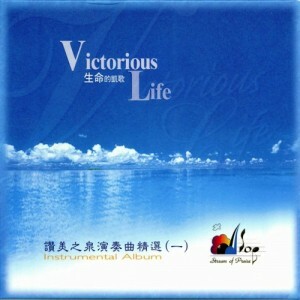 In that year, their first ever album was released: Let Praise Arise (让赞美飞扬, Ràng Zànmĕi Fēiyáng). It was a culmination of all their work until that point and the recognition that they have received from the Chinese Christian communities in the United States. At the same time, they embarked on their first ever worldwide tour, mainly touring churches in the United States and Taiwan to share the gospel and the love of Jesus through their music. From then on, Stream of Praise embarked on worldwide tours almost every year, touring almost every continent and region where large Chinese communities can be found. Their second worldwide tour in 1997 witnessed the addition of Hong Kong and Macau into their tour itinerary. In the same year, they officially moved into their first ever home (i.e. administrative office) in El Monte, California. In the following year, five more countries with significant Chinese communities were added into their tour itinerary: Singapore, Malaysia, Australia, New Zealand and Panama. And in 1999, Canada too was added into the list, along with several European countries in 2006. Having travelled to most parts of the world where large Chinese communities now call their home, there was still one very large portion of the global Chinese community that Stream of Praise could not reach, at least physically – mainland China. As has been the case since the establishment of the People’s Republic of China under the Communist Party of China in 1949, restrictions are in place as far as freedom of religion and the presence of foreign missionaries are concerned in the mainland. Despite being ethnically and linguistically Chinese, Stream of Praise was, after all, perceived as a foreign organization in the eyes of officials from the People’s Republic. The door to mainland China was shut to ‘foreign missionaries,’ especially those that would require large gatherings outside the auspices of the mainland’s state-sanctioned churches. Pastor Yu and the entire ministry were constantly praying for years that a door would be open for them to physically bring their music and message into the mainland. After all, despite the lack of legal channels to distribute their music in the mainland, their CDs and music have made their way from Taiwan and Hong Kong, and subsequently through the internet. Those prayers were finally answered when an invitation came in from Shenzhen Christian Church to perform in the Shenzhen Gymnasium (深圳体育馆, Shēnzhèn Tĭyùguǎn) on August 9, 2014, in conjunction with a thanksgiving celebration and commemoration of 30 years of the restoration of churches in Shenzhen. 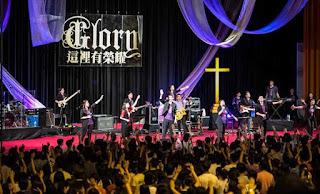 This was the first time Stream of Praise performed anywhere in mainland China, which saw an attendance of prominent Chinese church leaders and a turnout of more than 5000 people. Besides being their first time performing in mainland China, the year 2014 also marked yet another ‘first’ for the music ministry – their first time performing on Japanese soil. 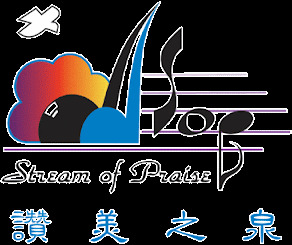 In that year, Stream of Praise took a leap of faith and decided to work together with the Japan Chinese Christian Centre (JCC) to start a music mission and a series of children’s praise and worship in Japan. 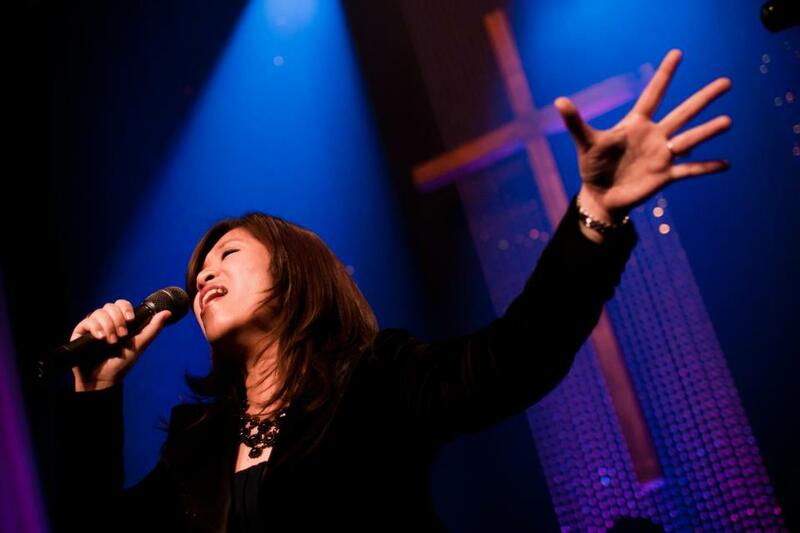 This culminated in their first ever series of praise and worship performances from August 22 – 24 in several churches in Tokyo and Yokohama, as well as the release of their first album in Japanese (see next paragraph), spearheaded by Stream of Praise’s own Japanese pastor, Pastor Mary Chikagami Lee (Japanese: 周神たつみ, Chikagami Tatsumi). In addition to actively producing a plethora of praise and worship albums in the Mandarin Chinese language, Stream of Praise also occasionally comes up with albums in other minority Chinese languages as well as other Asian languages. In 2001, their first album in Taiwanese Hokkien, You Are a Faithful God (你是信实的上帝, Mandarin Pinyin: Nĭ Shì Xìnshí de Shàngdì), was produced, and in 2009, their first Korean album was produced, entitled Jesus My Everything (Korean: 예수, 내 모든 것, Yesu, Nae Modeun Geos). 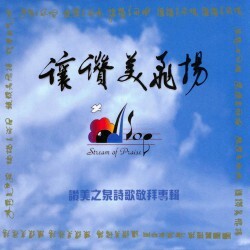 Several children’s praise and worship albums have also been produced, the first of which was published in 2010 entitled Little Dream (小小的梦想, Xiǎoxiǎo de Mèngxiǎng). A children’s album with the same title in Japanese (Japanese: 小さな夢, Chiisana Yume) was also released in 2014, which at the same time is their first ever album in Japanese. Additionally, Stream of Praise has published several instrumental album series, piano album series, live worship series and many others throughout their years in the Chinese praise and worship scene. 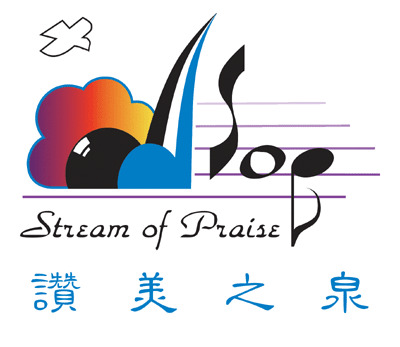 Since 2006, Stream of Praise has also been running a Children’s Creative Worship School (儿童创意敬拜学校, Értóng Chuàngyì Jìngbài Xuéxiào) that specializes in training students of kindergarten to senior high school ages in music worship and Bible studies. Headed by Pastor Mary Chikagami Lee as its headmistress and taught by many of the core members of Stream of Praise, the worship school has regularly produced children’s praise and worship albums that feature many of the music ministry’s all time favourite songs. 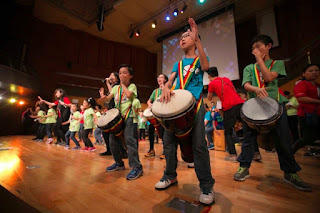 At the time of writing, the school runs courses in California, Hong Kong and Taiwan, raising hundreds of students every year to become the next generation of young worshippers. Stream of Praise currently maintains its headquarters in Tustin, California, with main offices in Taipei, Taiwan and Kowloon, Hong Kong, as well as a distribution office in Tokyo, Japan. Every year, the ministry embarks on tours around the Chinese-speaking Christian world that draw hundreds, if not thousands of people to each of its praise and worship nights. For more information about them, their albums and annual events, click here to visit their English website, and here for their Chinese website.